The UFOs were spotted by a YouTubeuser named Streetcap1, who has posted a number of similar videos of anomalies seen through the window of the ISS. 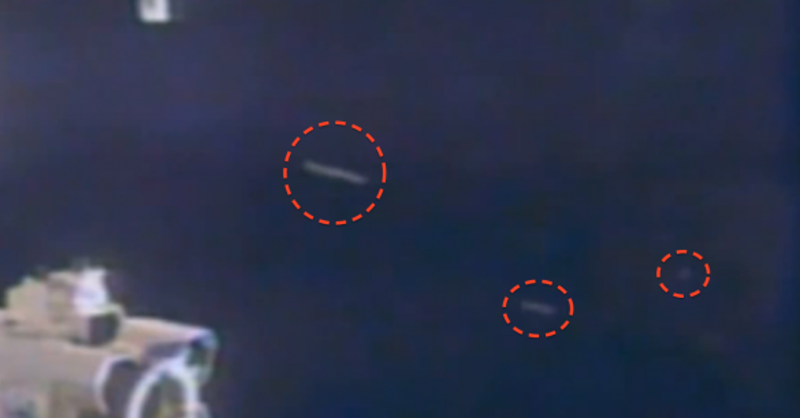 The video was taken on October 21 and shows two large flat lights and one small round one slowly approaching the station. It doesn’t appear that any residents of the ISS noticed the objects because no one zoomed the camera (or can be seen waving).